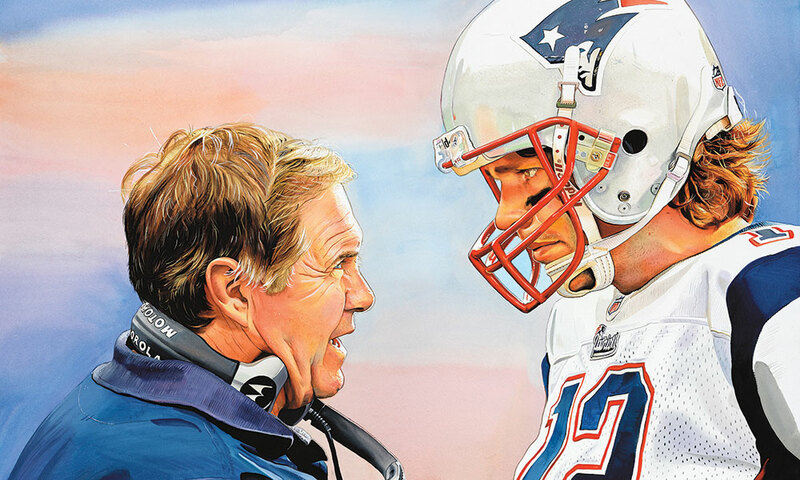 The award-winning sports artist has become a mainstay on the Spa City's summer charity scene. Those closest to me like to call me The Historian, because I’m the resident family history buff: I love whiling away rainy weekends sorting through old pictures and mementos, seeing which ones tell the best stories. One of my favorites is an oil painting of an ages-old Syrian marketplace, which we brought back from my dad’s home city of Damascus in 2006. When I look at it, I’m instantly transported back in time. 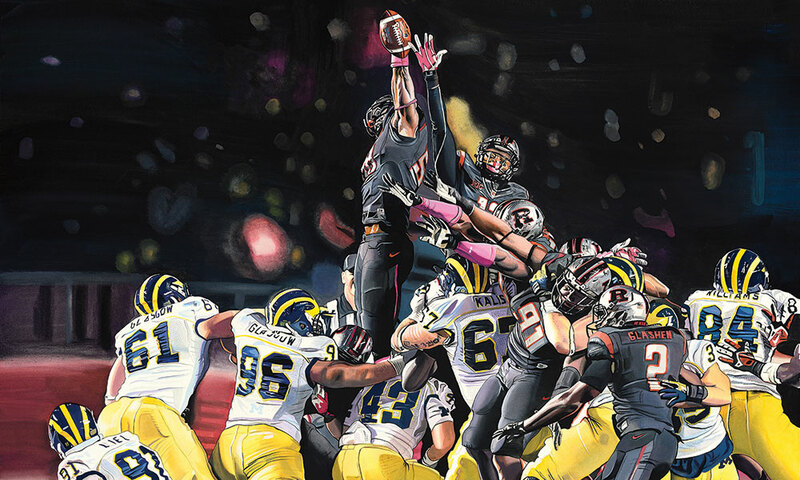 New Jersey-based artist James Fiorentino, who’s made a career of painting hyper-realistic watercolors of the biggest names in the sports world, wields that same power with his paintbrush—and he’s become a Saratoga Springs star because of it. 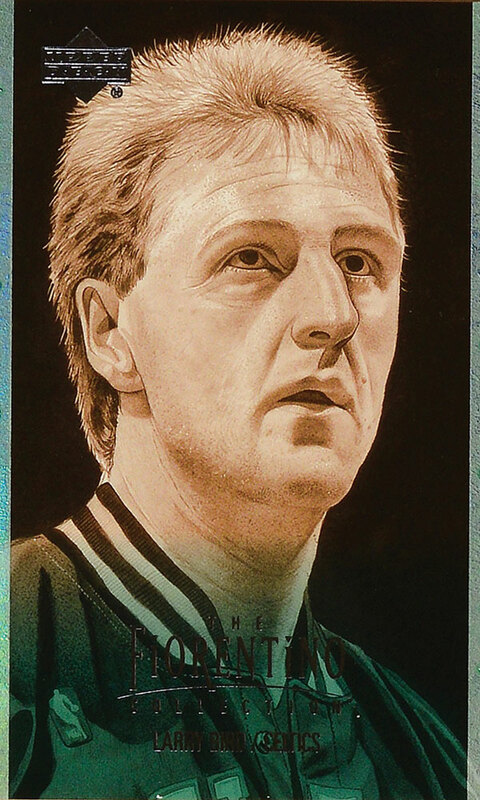 Fiorentino’s been making a cottage industry out of sports art since his teenage years. At the age of 15, Fiorentino had one of his paintings of New York Yankees legend Reggie Jackson displayed at the National Baseball Hall of Fame and Museum in Cooperstown during the ball player’s induction ceremony. Before he even finished high school, Fiorentino had amassed an enviable portfolio of paintings, including portraits of Boston Red Sox legend Ted Williams, the Yankees’ Joe DiMaggio, boxing champion Muhammad Ali and Baltimore Orioles’ icon Cal Ripken, Jr.—for whom he’d later serve as official artist during the player’s record-breaking consecutive games streak. He even had the chance to meet many of his subjects. Fiorentino went on to pursue a degree in Fine Arts at Drew University in New Jersey, where he played varsity baseball. “I paid my way through college, on my own, with painting,” says Fiorentino. “That was really one of the best times of my life.” Was it ever: Famous athletes, including Pro Football Hall of Famer Brett Favre and Yankees Hall of Famer Whitey Ford, phoned him in his dorm room—and he became the youngest artist inducted into the Society of Illustrators, which includes heavyweights of the medium such as Norman Rockwell and Rockwell Kent. Since 2003, Fiorentino’s been lending his artistic talents to the philanthropic world—notably, here in Saratoga. He’s created custom artwork for The Siro’s Cup, an annual event that takes place at the seasonal bar, Siro’s, kitty-corner to Saratoga Race Course, and benefits the Center for Disability Services in Albany. “Whomever gets honored that year picks out the horse they want me to paint, and I present the painting to them live at the event,” says Fiorentino. “Then I make reproductions of the work to raise money for the Center.” This past summer, he produced a stunning action shot of jockey Mike E. Smith aboard his Triple Crown-winning mount, Justify, at Belmont Park. Fiorentino’s impressive paintings for the Siro’s Cup are not only supporting worthy causes in the Capital Region, but also helping to preserve Saratoga’s most beloved sport. And that’s something we can all get behind.